Harmony x-mas :). For othobsessed92!. 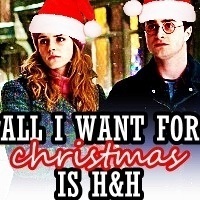 Images in the Harry and Hermione club tagged: harmony harry potter hermione granger christmas holidays xmas kellyerin87. This Harry and Hermione icon might contain anime, comic book, manga, and cartoon.